She's old. She's frail. She's grouchy. She communicates by glaring rather than meowing. We sometimes think she's losing her sight or her hearing, but tests indicate that when she wants to, she can hear and see just fine. And, being lightweight, she can move at an astonishing rate of speed and even leap onto things (though I think the leaping is a bit painful for her). Betaille has always been fussy. She doesn't sit on laps. She loves to be petted, though only when she is in certain "Designated Petting Places." If we say "DPP?" to her, she'll lead us to one. Despite these efforts, there's something pathetic about going down to visit Betaille on a cold, rainy winter afternoon and seeing this skinny cat huddled on her heated cat pad while the wind howls through the yard. Each year, Betaille gets frailer. And each fall, I find myself trying to engineer warmer and more sheltered environments for her. I've lined the cardboard boxes with fleece rugs; I've covered the sides and tops of the boxes with thick slabs of styrofoam. 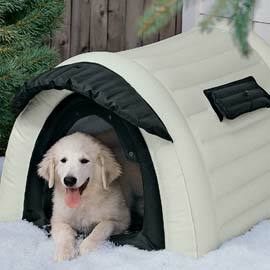 Today I ordered this inflatable, insulated dog house that was apparently used by some teams in the Iditarod races. 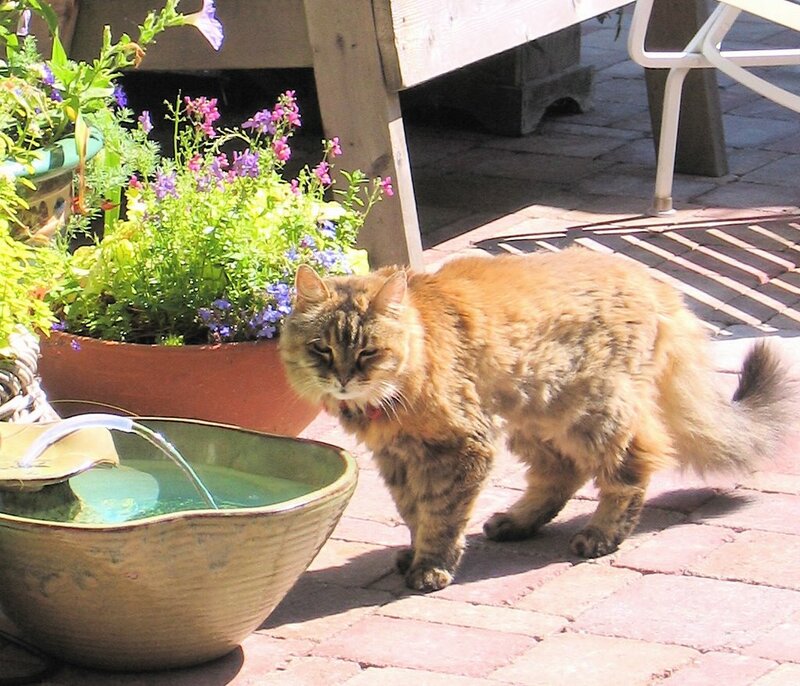 Equipped with the heated pad and cat bed, it could be the perfect home for Betaille this winter. If she agrees, I'll post another picture of it with her inside.